Being a fan of horror stories isn’t easy. On the one hand there are so many horror movies and novels that I’m never running out of stuff to watch or to read but on the other hand it feels like 90% of those films and books are crap and it’s quite a challenge to find the few good ones that come up with fresh ideas and still manage to scare me. While even bad horror movies have the advantage that they can always just use cheap jump scares to give you a heart attack it’s immensely more difficult for books to frighten its readers because they can’t use visual means but have to address their readers‘ imagination and create the horror in their heads. Personally I feel like having read lots of horror novels already but if you’d ask me to list the good ones I could count them on the fingers of just one hand: My all-time favorite will probably forever be Yrsa Sigurdardottir’s Icelandic ghost story „I Remember You“, followed by Josh Malerman’s post-apocalyptic „Bird Box“ and of course you can never go wrong with a Stephen King classic such as „The Shining“, „Carrie“ or „It“. Now when the Master of Horror himself personally recommends a horror novel and praises it with the words „Scared the living hell out of me, and I’m pretty hard to scare“ it’s almost impossible for me to resist and the book that Stephen King was referring to is Paul Tremblay’s „A Head Full of Ghosts“ which apparently has not only managed to thrill Mr. King but also the Horror Writers Association who honored it with the Bram Stoker Award, one of the most important literary awards for dark fiction. All this praise led to some very high expectations for me and I was super excited to find out if this book could live up to the hype. „A Head Full of Ghosts“ is focused on the Barretts, a family of four living in a small town in New England. Their youngest daughter Merry acts as the first-person narrator and the does it on two different levels: The present storyline lets us meet Merry as a 23-year-old woman who is working on some kind of biography with an author that interviews her about things that happened when Merry was still a child when she gained some unwanted fame as one of the participants of the reality TV show „The Possession“. Center of attention of said show was Merry’s older sister Marjorie who at the age of 14 started to behave in an alarming way and showed more and more signs of mental illness. While the interview parts serve as some kind of frame to keep the excerpts from Merry’s childhood together, the main part of the story is set in the past and slowly shows how Marjorie’s condition declined and which effects her behavior had on the family life. 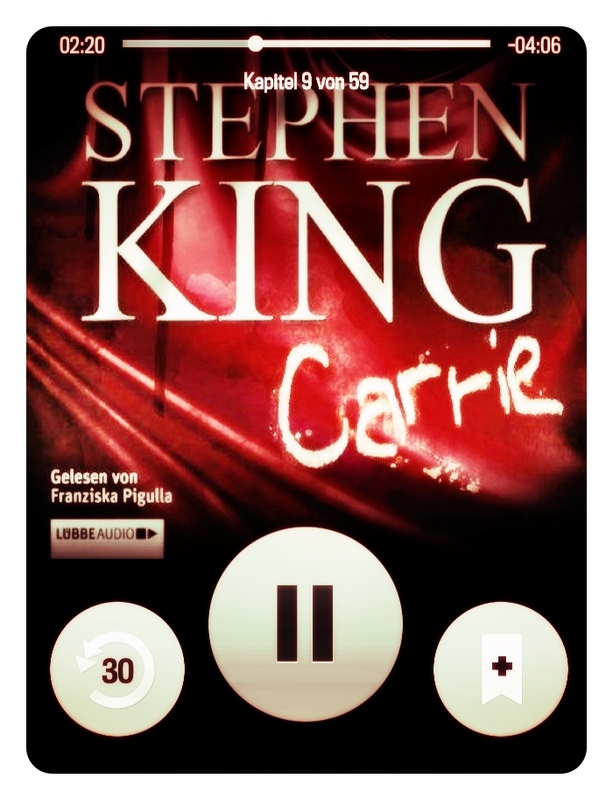 Let’s not beat around the bush: „A Head Full of Ghosts“ is not a story that causes nightmares and frightens the hell out of its readers, so I kinda have to disagree with Stephen King and sometimes felt as if I was reading a different book than him. One reason for that is the pace of Paul Tremblay’s novel which is rather slow but that might not be such a big surprise since that’s how possession stories usually start. And „slow“ doesn’t automatically mean „boring“ because even though I really can’t say that this book had me hooked I never actually felt bored. Also I’m not sure if I would classify „A Head Full of Ghosts“ as a horror novel because for me it was more like a psychological drama since the main focus was on the family dynamics and how every single character suffered under Marjorie’s condition. I think all in all the author depicted a good portrait of the Barrett family and it was interesting to see how the little conflicts slowly became bigger and more serious ones with the main conflict probably being about the kind of treatment that would be best for Marjorie: did she suffer from a mental illness and therefore needed therapy or was she maybe even possessed by a demon so that the only solution would be an exorcism? 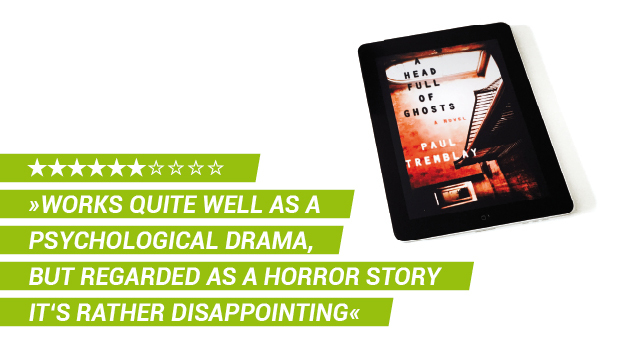 So you could say that I enjoyed the family drama but when it came to the horror elements I couldn’t help feeling disappointed because „A Head Full of Ghosts“ had nothing that I hadn’t already seen or read about in dozens of other horror stories. For me it was the typical possession story with all the elements you would expect from it: a family conflict, a somewhat creepy child/teenager, a priest that is responsible for the exorcism part and even a TV crew that turned the events into some kind of documentary – this is the story of 75% of all the horror movies that somehow involve demonic possession. Besides being not very original Paul Tremblay in my opinion also did a few mistakes that had a negative influence on the story: the blog posts for example who were some kind of second side plot didn’t work for me at all and always felt like an interruption of the main storyline. Then I found the point of view of the 8-year-old Merry not very authentic because she seemed way too grown-up for such a young child and reading her thoughts always made me think of her as a person that was four to five years older. But the biggest mistake in my opinion was the very anticlimactic ending because the author actually spoilered his own ending way too early which unfortunately killed a lot of suspense, even though Tremblay tried to make up for it with another late plot twist but which definitely didn’t have the intended effect on me. 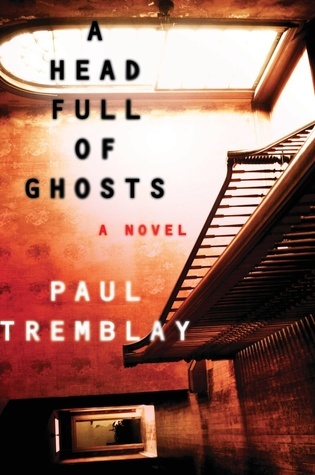 Paul Tremblay’s novel „A Head Full of Ghosts“ has its strong moments when it is a psychological drama and depicts the downfall of a family that suffers under the alleged mental illness of their daughter but falls flat when it tries to be a horror novel due to the merely ordinary possession story and a few stylistic mistakes. I really don’t understand how Stephen King could be scared by this book. I feel like he must have been paid to say that, or he’s BFFs with the author. XD I mean, I (thought I) scared pretty easily, and I wasn’t even a little bit scared by this book. I do remember being bored, though, maybe because we’d watched Conjuring fairly recently.